The Clef project has been discontinued on June 6, 2017 rendering this Tutorial Section out of date. To protect your Client Area with Two-factor Authenthication, you can use our built-in solution. For more information on how to activate it, please visit this tutorial of ours. 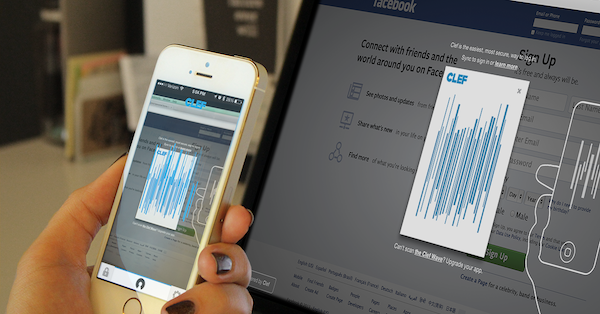 Clef is a two-factor authentication plugin that can be easily installed on your website. The use of the plugin eliminates the use of a password to get into your account. Clef contains two components that you need in order to use it. The first one is the Clef mobile app that you need to install on your phone. The second component is the Clef plugin that you need to install on your website. Once configured, the login screen for your website will display a visual identifier, called the Clef Wave. You need to scan the Clef Wave, using the app on your mobile device and you will automatically log into your account.